One of the bi-products of the resurgence in small breweries is the return of some once unfashionable brewing ingredients. One such example is the American hop, Comet, which evidently disappeared in the 1980s before making a more recent comeback, not least in this beer. It’s one that brewer Vince began playing around with when Frenchies launched as a gypsy brewer and has fined tuned in several iterations since, with results coming anywhere between floral fruits and an earthy spiciness. Now made in their Rosebery home, and iwht the help of Cascade hops, the Comet Pale Ale is a beer that leans heavily on caramel malts to bind together some robust flavours of citrus and grapefruit with a slight earthiness. 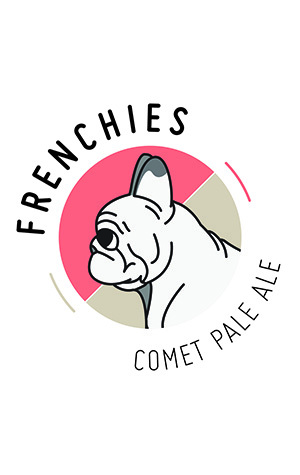 This is the Frenchies beer you’d pick as the go-to when sat at the bar about to tuck into the venue’s deli goods as its got the big and fresh flavours to match with the likes of smoked or cured meats and washed rind cheeses.